Paroxetine is a human medication occasionally prescribed for dogs with anxiety-related behavior problems. Not licensed for animal use, your vet may consider using it when other drugs have failed. Paroxetine is most effective when used as part of a retraining strategy. Paroxetine belongs to a family of drugs called Selective Serotonin Reuptake Inhibitors (SSRI). This family also includes fluoxetine (Prozac). The SSRI increase levels of a neurotransmitter, serotonin, which promotes feelings of well-being. NHS Choices explains how paroxetine is licensed in people to assist with depressive illness, anxiety disorders and obsessive-compulsive behaviors. It is a popular choice for physicians to prescribe as it is effective and has almost no side effects. In dogs, paroxetine is usually prescribed for anxiety-related disorders that result in fear-based aggression or obsessive-compulsive behavior. Although not formally researched and tested, the drug's high safety margin and effectiveness have led to increased use for behavioral issues. This use has risen hand-in-hand with a better understanding of dog psychology and a new awareness of canine personality disorders. Paroxetine is not licensed by the FDA for use in dogs, but this does not mean it is unsafe. The lack of licensing suggests it is not financially viable for a drug company to invest millions of dollars in getting paroxetine approved for veterinary use. The data collected from human use, along with observations and monitoring of dogs under the care of licensed veterinarians and animal behavior specialists, indicate it is safe for dogs when administered correctly under veterinary supervision. Veterinarians are obliged to follow a prescribing cascade, whereby they prescribe licensed veterinary products ahead of human drugs. When animal drugs are ineffective or there is no veterinary equivalent, and the vet has a strong clinical reason to prescribe a certain medication, the veterinarian can use a human drug. Under this cascade system, your vet may supply paroxetine for your dog, if he considers it the most appropriate therapy. 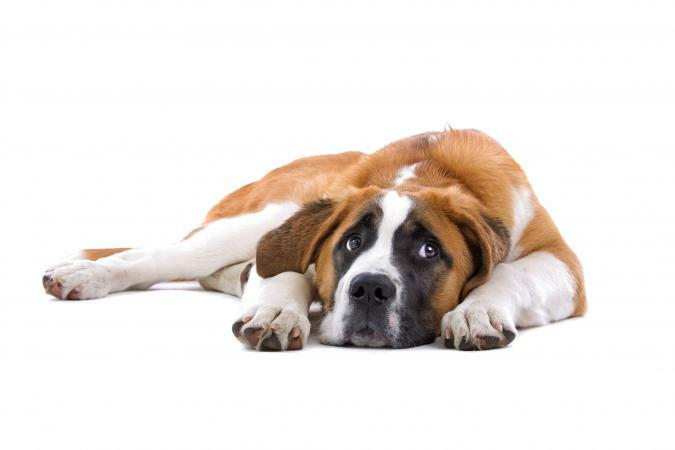 Dogs suffer from psychological disorders, just as people do. Factors such as poor socialization as a puppy, an abusive owner, or a traumatic experience can lead to anxiety related disorders. An anxiety disorder may manifest itself in destructive behavior when the owners are out, obsessive-compulsive behaviors such as excessive licking, or fear-based aggression that is out of proportion to the threat. Paroxetine is an increasingly popular choice among animal behaviorists because it doesn't inhibit learning. Other effective medications, such as diazepam, calm the dog but affect memory, which makes counterconditioning almost impossible. However, paroxetine bolsters the dog's self-confidence while a behaviorist works on building new positive associations in the dog's mind. There are a variety of conditions for which your vet may prescribe paroxetine. 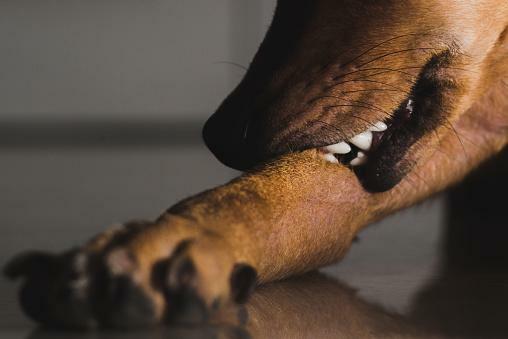 Licking releases natural, morphine-like chemicals to which your dog may become addicted. Some dogs learn to lick excessively as a means of coping with stress. However, they can damage their skin and create non-healing sores as a result. Paroxetine helps raise serotonin levels in the brain, which eases the dog's distress. The Merck Veterinary Manual explains how medication is not a cure, but a tool which alongside behavioral strategies to reduce stress can help alleviate obsessive-compulsive behaviors. The Animal Humane Society explains the importance of early socialization of puppies. Dogs that were poorly socialized as puppies tend to regard novel and new experiences with suspicion. They have a tendency to live life in a state of constant fear, based on the assumption that new experiences are a threat. This can lead to fear-based aggression and other anti-social behaviors. Raising brain serotonin levels with the use of paroxetine has a reassuring effect while your animal behaviorist can use counterconditioning strategies as a permanent solution to the problem. Some dogs have a poor ability to cope with separation from their owners. These dogs suffer real distress when left alone and may soil themselves, chew destructively, or injure themselves trying to escape from a closed room. The mood-altering effects of paroxetine may help the treatment of this disorder. How frequently (or infrequently) paroxetine has side effects in dogs has not been quantified. Anecdotal evidence indicates that when they occur, the side effects are minor but relatively common, while serious complications are extremely rare. Some side effects, such as lack of appetite, resolve with time, and it may be it was the presence of medication in food that discouraged the dog from eating. That said, paroxetine does interact with other types of medication and should only be prescribed by a veterinarian who is fully aware of the dog's medical history and concurrent medications. Paroxetine is not prescribed for pregnant or nursing dogs, or those with liver, kidney failure or seizures. There are no recorded long term side effects. However, dogs should be weaned off paroxetine slowly to avoid withdrawal reactions which can include severe vomiting and appetite loss. It takes around two to four weeks for paroxetine to take effect. It is suggested that once started, the dog should take the medication for at least six months for maximum benefit. According to VetDepot the suggested dose is 0.5 to 1 mg per pound, by mouth every 24 hours. This means a 20 pound dog would take a single 10 mg paroxetine tablet each day. For larger dogs, many vets do not start with the calculated dose, but with a lower amount and increase the dose if necessary. These drugs are not suitable for all dogs and can also have side effects. If your dog cannot take these medications, or they are ineffective, then it is appropriate to give paroxetine. In addition, the reassuring dog pheromone Adaptil may reduce anxiety. It's also essential to work with a qualified animal behaviorist and put a strategy in place to help the dog through their anxiety issues. 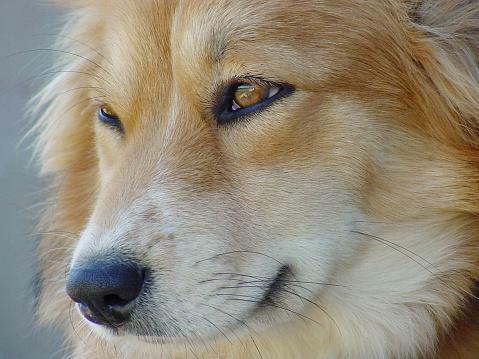 Anxiety in dogs is surprisingly common, but it doesn't have to be endured. To bolster flagging self-confidence, look at all aspects of the dog's behavior to unearth the trigger factors and build new, happier associations. Canine paroxetine isn't so much a magic bullet as a bandage which bolsters bravery to allow retraining to take place. If your vet prescribes paroxetine, be sure to put a plan in place to work on underlying insecurities. Look after the dog's mind, body, and spirit to put his fears behind him and get that tail wagging again. Please note: This article is for information purposes only. It is not a substitute for professional advice. Always seek assistance from a registered veterinarian or certified behaviorist before starting any medication.